ELF Fire Coral is a fiery creme, applies veeery nice and is a one coater.The only issue I could find with it is that it chips VERY easily ( you can already see chips on my middle nail). But for 2 dollars, I don't really mind. I added some of that really chunky holo glitter I got on the Vancouver haul (pic here) and it looked pretty nice. Fire Coral is sort of comparable to NYC Color Times Square, which is my favourite coral and also happens to be a one-coater. Time Square is still my favourite though, just because it is a little more red, rather than orange. 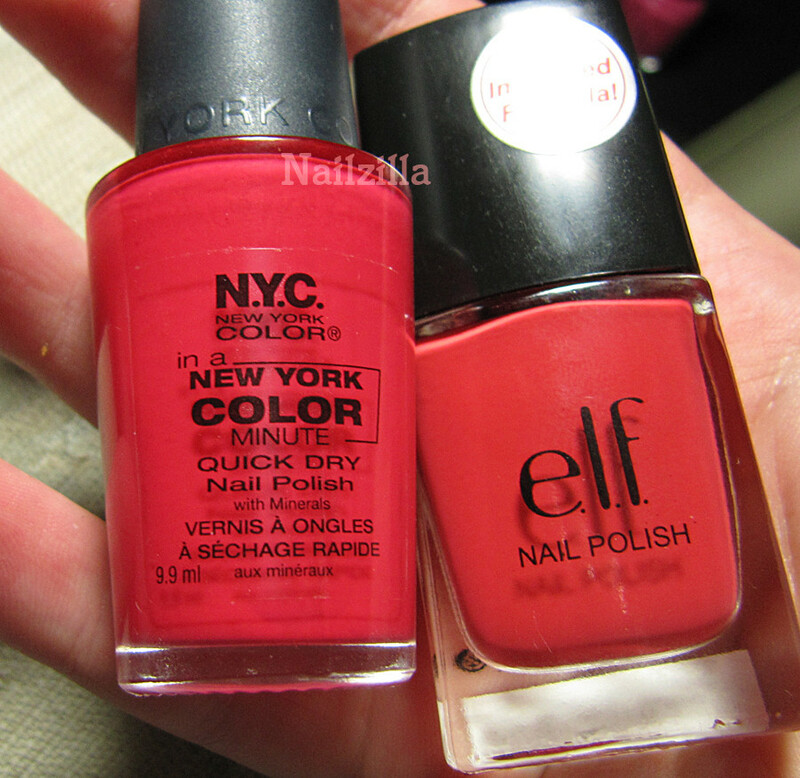 Fire coral leans towards orangey on my skin, but without Times Square next to it, Fire Coral looks like a true coral. Vibrant, reddish orangey pink. 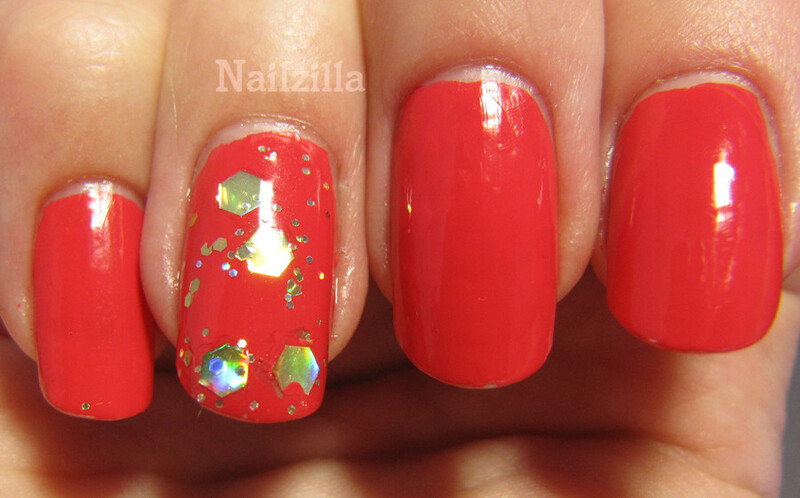 Corals just make me feel so sassy!